Hello, friends! I hope you are all enjoying the February Instagram Style Party. I'm already so pleased and amazed with the feedback. I love seeing all of your outfits and how you're taking on the prompts! Be sure to follow me on Instagram for inspiration & use the hashtag #stylepartyfebruary to share your own inspiration! As hopeful and as ready as I am for this month, there are still a lot of things I discovered in January that I am ready to share with you! Wow, fam. Just wow. I read this book series religiously as a small child. I even started reading them to my little sister (when I was still a small child myself) because I wanted an excuse to read them again. (I was very dissapointed when she wasn't as excited about the series as I.) For those of you who aren't familiar with the series, it's about three orphans whose parents have recently perished in a fire. (Or at least that's what you're told) The series follows the orphans from guardian to guardian, and misfortune to misfortune. They're also followed by the evil Count Olaf, a local actor who uses disguises to insert himself into the children's lives at every step of their journey with the ultimate goal of stealing their fortune. There was something about the children working against all odds and always coming out on top that I loved! (Even if they went straight into another unfortunate situation.) I absolutely loved the underground society aspect of the series. Such a mystery. The movie was definitely a let down, but the Netflix series is ON POINT. Neil Patrick Harris is phenomenal and his take on the series is seriously spot on. At first I honestly wasn't about it. I didn't understand what they were trying to do and was thrown off by the caricature aspect of it, but after a few episodes I was absolutely about it ! I love how they created a world that was almost real and slightly cartoonish. And there are so many references hidden in each episode. I absolutely LOVED when Count Olaf (played by NPH) messed up a quintessential theatre tongue twister. It was so small and unimportant, but the theatre nerd in me was obsessed with that moment. The series perfectly found a way to stay true to the original intent of the children books, while also appealing to the adult audience, now watching, who grew up reading the series. It is seriously the best & I can't wait for the next season! If you read these books as a small child, or just want to see an AMAZING Netflix series, you should 100% check this out. Ironic, considered NPH is known for his long-term television roles! When I was home for Christmas, I started watching Parks and Rec on a whim one night to introduce my family to a new tv show I thought they would like to watch. I had honestly never seen all of the series--only bits and pieces. After watching a few of the first episodes, I realized I was missing out on a lot. I watched this series all January long. I'm actually watching it right now. I have 5 episodes left and I'm actually really sad it's almost over. Leslie Knope is my spirit animal & Andy is absolutely hilarious! In a short summary, P&R follows Leslie Knope, a loyal public servant who works in the Parks and Recreation department, throughout her daily life. She's fiercely passionate about everything she does, but this passion often gets her in trouble. If you liked the Office, and strong female characters, you'll love this show! This perfume is perfect for any time of the year! It's light enough for the summertime, but still sophisticated for the winter months. TJMaxx is almost always selling this, so no need to pay full price! It also has the cutest packaging. I'm such a bow girl, so I knew it was meant to be when I saw it. 10/10 would recommend! Ed Sheeran released two songs from his new album (dropping in March) - Castle on the Hill and Shape of You. I've been listening to him on Spotify on repeat lately. I forgot how amazing he is! I'm officially obsessed and need to see him in concert on this next tour. Just listen to these amazing songs and you'll understand why! This invention is the best thing ever. That might be a slight exaggeration, but it's still 100% worth your investment of like $35 (what a steal!!). I love that I can play Spotify on my tv while I'm blogging. 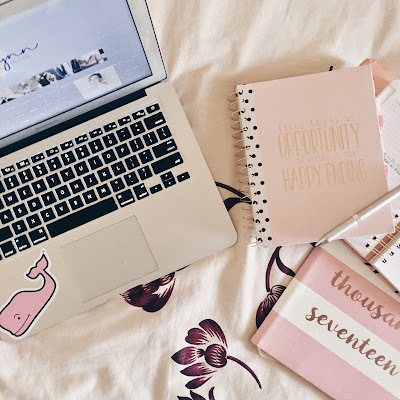 It's been such a game changer and helps to get me into the blogging mindset. It was very easy to set up and I can cast everything I want to watch or listen to from my phone! If you follow me on Snapchat (rgolden75) or have seen my Instastories, I'm constantly snapping songs while they play through my chromecast. & even better, now I can watch all of the Parks and Rec or Series of Unfortunate Events to my heart desires and I don't have to worry about splitting my computer screen or stopping work to do it! This song is absolutely phenomenal. Julia's voice is so beautiful and the song is hella catchy! Just listen, you'll be hooked! 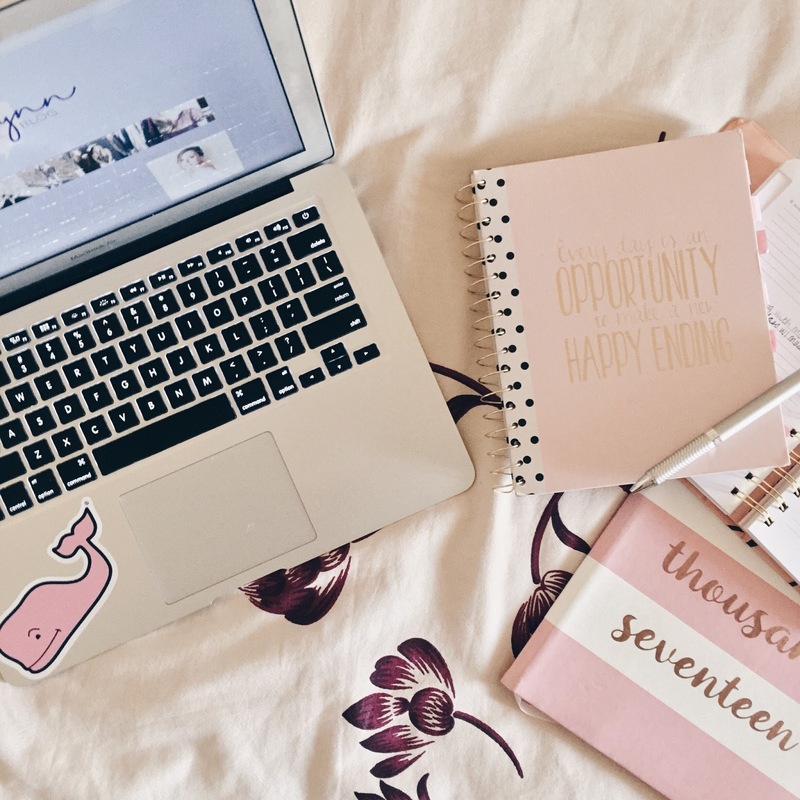 What are you obsessing over lately?? I had no idea that Series of Unfortunate Events was a Netflix show now! Where have I been?! I'm going to have to check that one out! Love A Series of Unfortunate Events!!! I read about it, and me and my oldest started watching it, and now I'm hooked. Can't wait for season two! Plus, now I need to learn more about Chromecast. I didn't know A Series of Unfortunate Events is a Netflix series! I am so excited for Ed Sheeran's new album though and pink stationary is always fun! 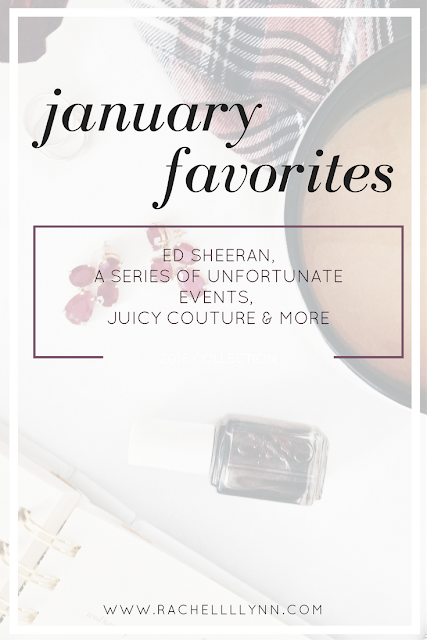 It sounds like you had a lot of amazing January Favorites! I have not watched A Series of Unfortunate Events on Netflix. I may have to check it out. I never read the books when I was younger though. Stationary is always fun, especially when it is pink! Have you watched Santa Clarita Diet yet?? I just finished and am starting Series of Unfortunate events next! Yes Parks and Rec is everything! This is such a great list- everything I love too! I've been loving all the pink that is around too! I love the series of unfortunate events!! !